This is a set of cards I made as a Christmas gift. 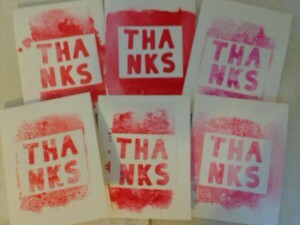 The sentiment is actually the negative piece left over for the Purple Water Color Card Set. Extra Details: I began these cards by created some card bases from water color paper. I used an acrylic block and some pink and red Distress Inks to create the backgrounds. I used the ink smooshing techniques. 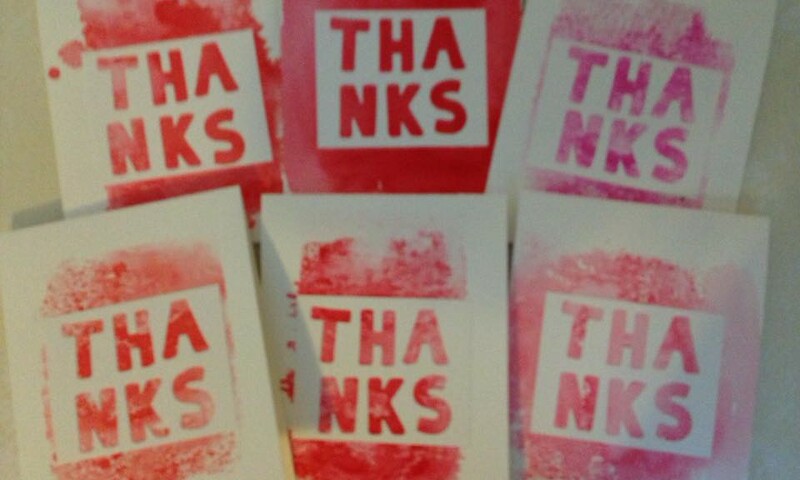 I used a large block which is why the ink smooshing isn’t very consistent from card to card. The sentiments are the negative die cuts from a previous project. Once the ink was dry, I was able to adhere the white sentiment rectangles onto the card base.